This book is made up of six parts that introduce you to the WordPress platform, including detailed information on two very popular versions of WordPress: the hosted version of WordPress.com and the self-hosted version of WordPress.org. Also included is detailed information on WordPress themes and templates. The first part gives you an overview of WordPress and the advantages of making it your blogging platform. You may think of WordPress as coming in three "flavors": vanilla (WordPress.com hosted solution), chocolate (WordPress.org self-hosted solution), and Neapolitan (WordPress MU, the multiuser solution). In this part, you also discover some of the fun aspects of blog-ging, such as RSS feed syndication and reader interaction through comments. 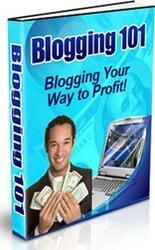 Part II takes you through signing up with the hosted service for a blog. You tour the Administration panel, explore writing and managing your blog, find out how to change the various themes available in this version, and discover how to enhance your blog and widgets. This part shows you how to add images to your pages, including how to create a photo gallery on your site. This part also reveals how to find, install, and use various WordPress plugins to extend the functionality of your blog. It also steps into the world of WordPress themes, showing you where to find free themes, install them, and use them. Part V takes an in-depth look at the structure of a WordPress theme by taking you through each of the templates and explaining the template tags each step of the way. You find information on basic CSS and HTML that helps you tweak the free theme that you are using or even create your own theme. This part also looks at the use of WordPress as a Content Management System (CMS) to power a full-blown Web site as well as a blog. Additionally, this part of the book takes you through how to configure WordPress to allow multiple sites, which gives you the option of running a network of multiple sites with one single installation of the WordPress software. If the topics covered in this part of the book aren't ones you're interested in getting involved with yourself, the last chapter of this part talks about bringing in the professionals — the consultants who can help you achieve a custom-designed blog, as well as assist you with search engine optimization. The Part of Tens is in every For Dummies book that you will ever pick up. 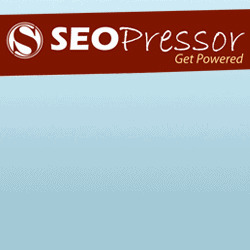 This part introduces ten Web sites that have really stretched the functionality of WordPress through plugins and themes. This part also shows you ten popular free WordPress themes that you can use to create a nice, clean look for your blog. Further, in this part you discover ten great WordPress plugins that you can use to provide your visitors (and yourself) some great functionality. Tips are little bits of information that you may find useful. I use this icon to point out dangerous situations. All geeky stuff goes here. I don't use this icon very often, but when I do, you know you're about to encounter technical mumbo-jumbo. When you see this icon, read the text next to it two or three times to brand it into your brain so that you remember whatever it was that I think you need to remember. As I mention in the "What You Are Not to Read" section of this introduction, take what you need, and leave the rest. This book is a veritable smorgasbord of WordPress information, ideas, concepts, tools, resources, and instruction. Some of it will apply directly to what you want to do with your WordPress blog. Other parts deal with topics that you're only mildly curious about, so you may want to skim those pages.